Blast Process are no strangers to PLAY Expo, having attended the Manchester event on numerous occasions previously. So Neil, packed up the camera, plus cameraman and took the train down to London to attend and film some of our trademark Blast Process Interviews! The UK’s favourite arcade, indie and retro games show is coming to London in August 2018! Hundreds of consoles, handhelds, computers, arcades, pinballs and PC's all running the very best in classic and modern video games and all free to play! Organised by experienced video game events specialists Replay Events the show will be full with features, exhibitors and more retro gaming mayhem than London has ever seen. Jam packed with everything you love about gaming and popular culture, the show has something for everyone. 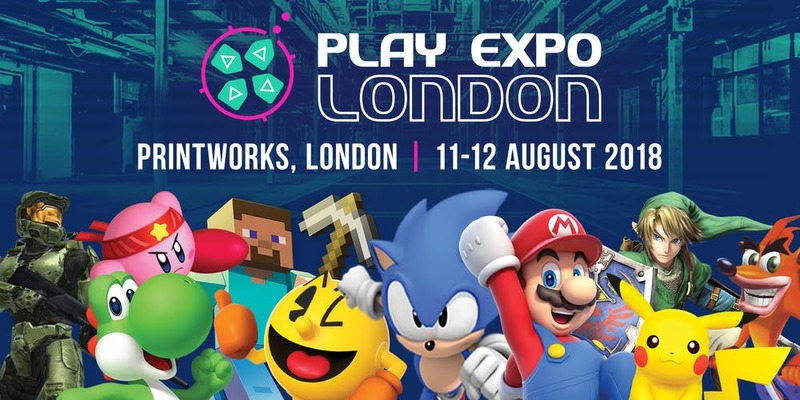 PLAY Expo London - 11/12 August 2018 - Retro, Arcade, Pinball, Indie, Modern Gaming, Minecraft, VR, LAN, Guests, Merchandise, Tournaments and More! First stop was a meet up with Nils from Robot Riot, who are making a remaster of the classic GODS! Re-experience Bitmap Brothers’ cult classic 16 Bit platformer in shiny new 3D graphics and brilliant sound. Then Neil got chatting with Jim Bagley, who's working on the ZX Spectrum Next. Jim's been coding video games for over 30 years, so the two had plenty to talk about, resulting in a rather informative video! Next up, Neil spoke to James of 'Lightfoot Bros.' to chat about a brand new point and click game that's out of this world! The Mystery Of Woolley Mountain is a brand new point and click adventure for Windows and OSX, featuring five renegade audio scientists in their quest to rid Woolley Mountain of an evil witch. Neil's adventures didn't end there however, as he approached Artist David Rowe, who was more than happy to be interviewed for the site. David is the man responsible for some of the most memorable video game cover art from the bygone days of video gaming. Those who are old enough to remember the ZX Spectrum, Commodore Amiga and other retro consoles should be more than familiar with this man's work. Other notable work from David would include all those lovely backgrounds featured in the classic kids TV programme, Knightmare and of course the Mean Machines magazine logo. Finally, he tried to run away but Neil caught him, Community Manager Gustav Hendenborg got the Blast Process treatment and chatted with Neil about the long-awaited spiritual sequel to Sensible Soccer, Sociable Soccer! We'd like to say many thanks to Gustav and all the rest of the lovely people that took the time to be interviewed by us at the Expo. And with that Neil packed himself and his trusty Cameraman into the train back home. PLAY Expo is always a fantastic event, where ever it's held (there's one in Manchester in 2019) and needless to say we'll be back next year with Singstar mic in hand, to interview more gaming greats...well...Neil will at least! UPDATE: Since returning from the event Neil gathered up all his pickups and made a little video showcasing some of things he spent his pennies on at the event!